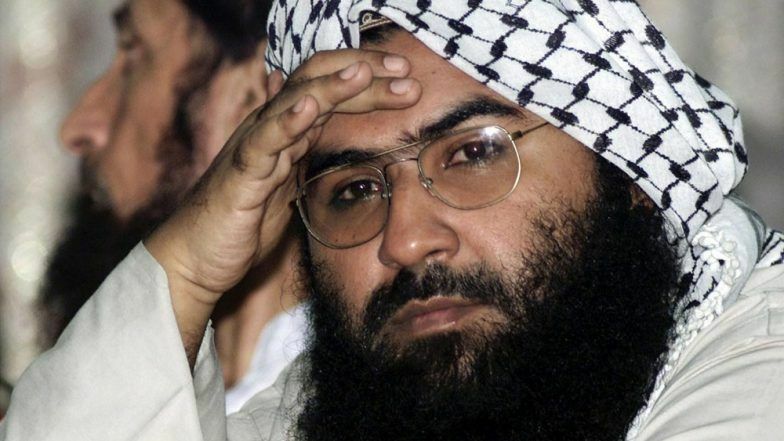 Beijing, April 3: China on Wednesday said it was working hard on the issue of blacklisting Pakistan-based terror outfit Jaish-e-Mohammed (JeM) chief Masood Azhar and again warned the US against pushing its own draft resolution at the UN Security Council. The comments were made by Chinese Foreign Ministry spokesperson Geng Shuang at a press conference in response to a question about the US reportedly utilizing all resources to declare Masood Azhar an outlaw. Masood Azhar Listing Row: China Hits Back at US' 'Hypocrisy Charge', Says ‘Not Sheltering Terror'. "China has been working hard with relevant sides and is making positive progress. The US knows that very well. Under such circumstances, the US still insists on pushing the draft resolution, it doesn't make any sense." Azhar is wanted in India for plotting deadly terror attacks. His JeM claimed responsibility for killing 40 Indian security personnel in Jammu and Kashmir in February. Last week, Beijing said it made positive progress on the listing of Azhar as an international terrorist after it put a technical hold on the US-proposed resolution at the UN 1267 sanction committee on March 13. The fourth technical hold prompted the US to bypass the 1267 committee and circulation a draft resolution at the Security Council to declare Azhar as an international terrorist. While banning Azhar has long been a contentious issue between India and China, this is emerging to be another sticking point between Washington and Beijing who are already locked in a bruising trade war. Talking about the US-proposed draft, Geng said: "China has repeatedly stated its position on the Masood Azhar designation issue, we hope relevant sides will meet each other half way and continue to properly handle this issue under the framework of the 1267 committee. "Last week Security Council members exchanged views on the US proposed draft resolution. The vast majority believes that efforts should be made under the 1267 committee to solve this designation through dialogue and consultation instead of pushing the draft resolution at the Security Council. "The US action is not consistent with UN rules and customary practice. It is setting a bad precedent and only complicates the issue. It is not conducive to peace and stability in South Asia. "China will continue to adopt a constructive and responsible attitude to participate in discussions and deliberations on the designation issue. We hope there will be a proper solution to this issue," Geng added.